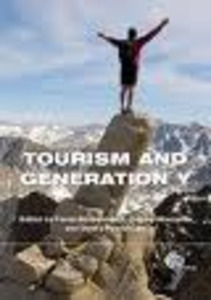 Tourism is a complex, dynamic phenomenon with a relatively brief history of academic research attention, mostly in the social sciences. Like other areas of human activity, tourist behaviour exists in a constantly changing context and tourists have great capacity for social and personal adaptation and innovation within these contexts, [n addition, given that the bulk of research into tourism has occurred since the late 19705, there is little in the way of longitudinal research in this area, and as a result it Is easy for tourism researchers to fall into the trap of premature cognitive commitment (Langer, 1997). Langer (1997) describes premature cognitive commitment as the inability to C1bandon existing assumptions about, or perspectives on, phenomena. Alternatively, it can be S(len as a situation where individuals assume that an existing situation is set and this limib their ability to critically analyse llnder\yiog structures 0[' situation-specific outcomes. These forces make the prediction of tourist behaviour difficult.